This little gem of a hotel oozes charm! The staff could not have been friendlier or more efficient, and our room and bathroom were wonderfully equipped and thoroughly clean. The rooms are laid out in a semicircle around a central garden which makes parking easy since each room has its own bay right outside. Though we did not have the time to enjoy it, the hotel even has a swimming pool. In a nutshell, Meadowlark Inn provides excellent value for its reasonable rates. We are looking forward to our next visit. I call this a find. A nicely appointed good size room with a little kitchenette. It was very quiet. The outside gardens are lovely as was the gazebo. And the home made breakfast was great! Our dog enjoyed the east lawn for play time. I hope to return. We really liked it. Retreat is an accurate word for the Meadowlark Rooms are comfortable and nicely appointed. I most enjoy the courtyard, a shaded garden which allows relaxation from sunrise until an evening fire in the fire pit. Gracious staff and delightful breakfast. Checked in for one night of delight at the glorious Meadowlark. We were greeted upon our arrival by an outstanding young man, I believe his name was James. He made us feel immediately welcome and comfortable while helping us with the check in process. 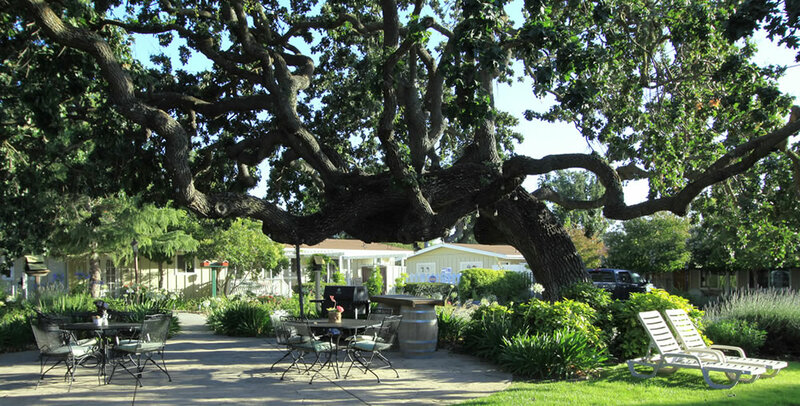 He also gave us stellar recommendations for wine tasting and lunch time dining in nearby Los Olivos. His recommendations were spot on. We returned to freshen up for dinner and enjoy the wine social offered at the inn. This time, he was prepared with fantastic cocktail and dinner recommendations in nearby Solvang. After a spectacular dinner, we returned to the inn and were lulled to sleep by the gentle trickle of a beautiful fountain outside of our room. The breakfast offered by the inn and served by Margaret was wonderful! The inn staff are like a family you've come home to.